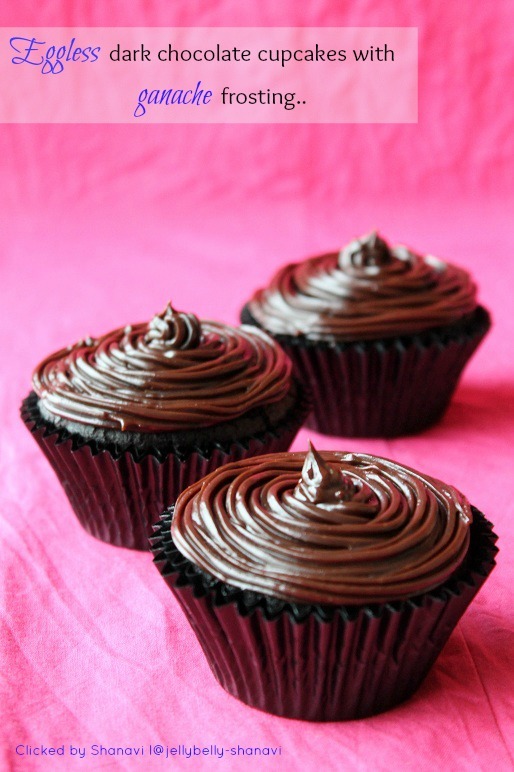 Cupcakes are my favorite ever since my childhood and we called it as "koodai cake" (Basket cake) in Tamil. 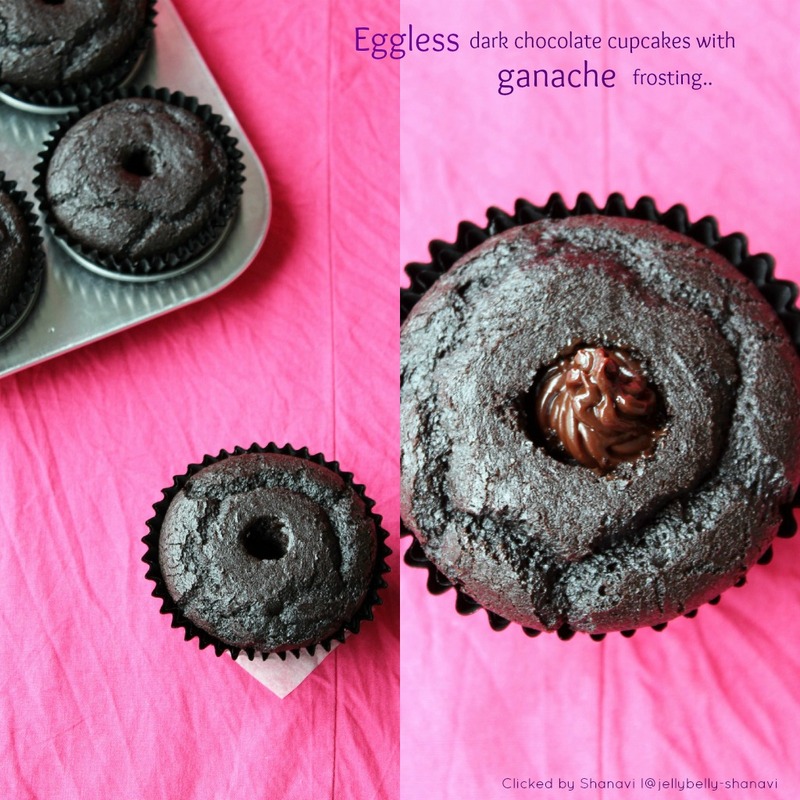 I've already bookmarked this recipe from Nithya's space but totally forgot abt it. Few weeks back I's really craving for something really choclaty and that ended up making chocolate truffle cake but still I wanted more. Only then this recipe which I've bookmarked long back, just popped in my mind, and I tell u, it's so simple to make, also there's no need for any special equipment. Just a whisk is more than enough. But the result is awesome..Do try this simple recipe guys for christmas.. 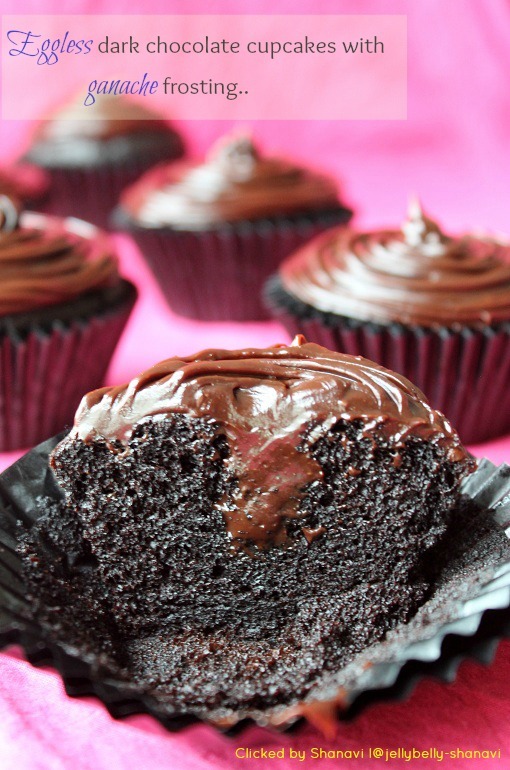 Grease the cupcake pan and line it with muffin papers. Preheat the oven to 180 deg C.
Sieve all the dry ingredients (APF,wheat flour,cocoa powder,baking soda,sugar ,salt)and then measure according to the requirement and gather together in a bowl. 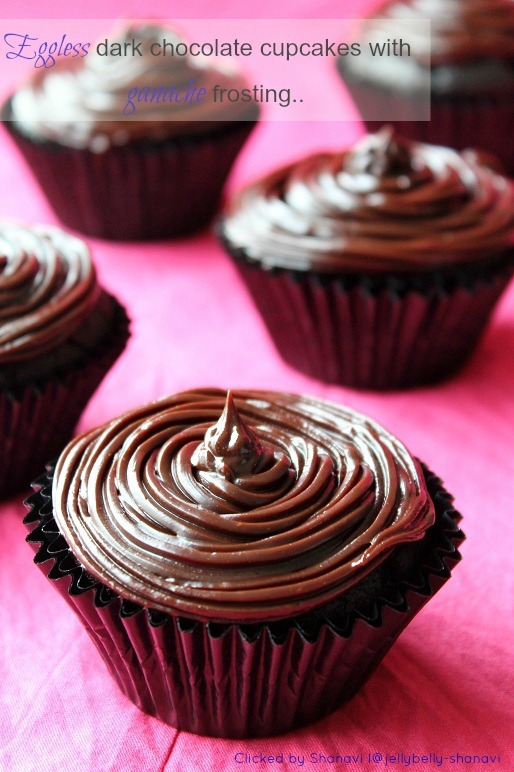 Insert a tooth pick in the middle of the cupcake to check if it's thoroughly baked. If u see batter on the toothpick, bake for another 3 to 4 minutes(depends on ur oven), if the tooth pick is clean, u r good to take the cupcakes out of the oven and cool for minimum 1 hour before u proceed with the frosting. Add the butter to the whipped cream and bring the cream to a boil and pour on top of the chocolate and let it not disturbed for 30 secs. Then slowly stir the chocolate and the cream in a small and circular motion ensuring not to trap air inside the ganache. The chocolate will slowly melt and incorporates with the cream and at one stage it forms a thick chocolate sauce. Add the vanilla essence, if using, and mix well. Bring down the temperature of the ganache to room temperature. Then keep the ganache covered with sling wrap so as the sling should touch the top of the ganache and put it inside the fridge for 1 to 2 hours. For frosting, take the ganache out of the fridge and fill the pastry bag with ganache. Once the cupcakes are cooled, using a pipe or whatever and remove the middle portion of the cake as shown. Pipe the ganache to the hole and cover it with the already removed cake. Then start piping on the top as u wish. Njoy !!! Author says to bake for 18 to 20 minutes, but my oven took exactly 25 minutes to bake. So, keep an eye once it crosses 18 minutes. This recipe yields 6 big cupcakes. The texture is soft, perfect sweetness,dense but tastes more chocolaty. liked all your clicks.. too tempting.. Fantastic cakes..:) looks super delicious..
Omg, you are killing me..Stunning cupcakes, i wont stop with one if i make some like yours. Yum Yum Yum, I am short of words Sho.. I am simply drooling here.. I am really falling for ur cake.lovely frosting too.enjoy. Wow dear they look awesome...luvd all the clicks...too tempting!! 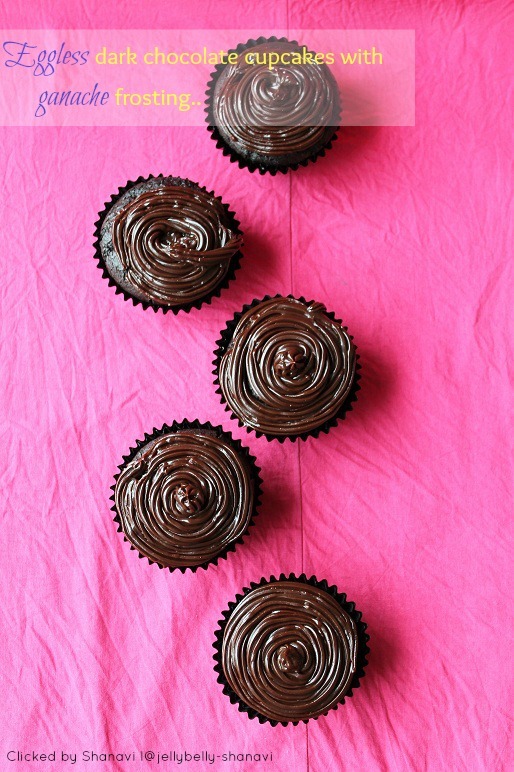 Soft and yummy cupcakes..nice clicks too. Soft and moist cake....looks so beautiful.